Passing GST is a big step in tackling tax terrorism, Modi tells Lok Sabha. Is it really? 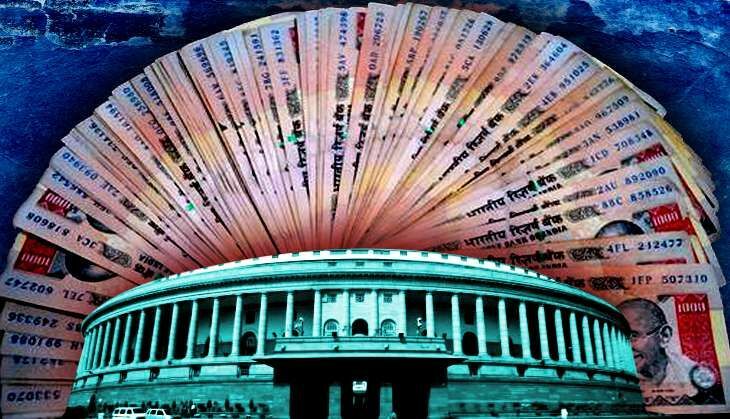 The ayes had it, the ayes had it, the ayes had it - and the GST Constitutional Amendment Bill was passed with an overwhelming majority in the Lok Sabha on Monday. The legislation to usher in "one nation, one tax" was passed after a five-hour debate which even saw Prime Minister Narendra Modi pitching for what he called as a "great step towards transformation, transparency". Moved by Finance Minister Arun Jaitley, the bill saw 443 members voting in favour of it and none against it. The AIADMK, the only major party opposed to the GST, staged a walkout before the voting began. Except for the prime minister's speech, the proceedings were starkly similar to those in the Rajya Sabha a week earlier. None of the parties had anything new to offer with the Congress continuing to take credit for introducing this legislation during its rule, and attacking the Modi regime for not building political consensus on it sooner. As in the upper house, the demand for capping the GST rate at 18% and doing it through a finance bill rather than a money bill echoed in the Lok Sabha. The regional parties sought the government's assurance that it won't use the new tax regime to compromise the country's federal structure, and had their concerns duly addressed by the finance minister. all political parties for reaching a consensus on what he called a "big step in tackling tax terrorism". Speaking at length about the merits of the GST, Modi said, "It is a matter of great strength for Indian democracy that all of us are making efforts to take this forward together." "In the entire discussion on the GST, none of us used it as a platform for politics. We rose above politics for the welfare of the nation. Despite our differences, we made efforts to take GST forward," he added. Still, he didn't shy away from taking potshots at the Congress, saying it was his regime that nurtured the bill despite it being somebody else's baby. "Just as someone gave birth to Krishna and someone else raised him," he said to thunderous applause from the treasury benches. In his half-hour long speech, Modi sought to allay the apprehensions of the states, saying the latest tax reform would catalyse the strengthening of trust between the Centre and the states. He also spoke about how the GST would help curb corruption and black money, and how it was a step towards tackling poverty in the country. Earlier, Congress veteran M Veerappa Moily complained how the Lok Sabha was not taken into confidence during negotiations on the bill, which saw the government only engaging with members of the upper house. "This house has been taken for a junior party. Rajya Sabha is given more importance. It's as if this house doesn't have brains," he said. Saying it was too early to call the GST a "great revolution", as the Modi government was doing, he advised the country to wait and see whether it actually proves to be a game changer. Trinamool's Kalyan Banerjee lashed out at both the BJP and the Congress, saying their "constant debate" had delayed the passage of the bill. "Today at least, the PM should acknowledge that it is because of all the state CMs and political party leaders that this bill is being passed," he added. Satpathy termed indirect taxes, which the GST seeks to replace, as an "anathema" to a developed or developing nation. "We were told that winds of change are blowing and why not be a part of it. Why not have a system where there will be the evolution of tax," he added, articulating the need for the GST. MPs of most other parties raised concerns about the capping of the GST rate and the new tax regime's effect on the federalism. To them Jaitley responded, "Some questions have been raised about sovereignty and autonomy of the states. Are we surrendering that? You are shifting to a new mechanism. You will be moving away from the present system. Once you get into the GST pipeline, the Centre and states will have to interact together. The states will be involved even in the decision of central taxation." Also read: Taxing times: GST hurt Malaysia, Australia. Will India's euphoria last? TWEET THIS Here are the key points of the 5-hour debate on GST Constitutional Amendment Bill Passing GST is a big step in tackling tax terrorism, Modi tells Lok Sabha. Is it really?